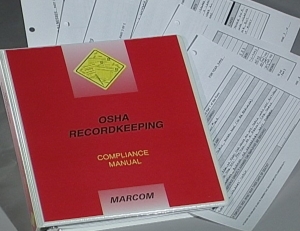 MARCOM's "Hearing Conservation and Safety" Compliance Manual is designed to help facilities in fulfilling the OSHA Occupational Noise Exposure and Hearing Protection Standard (29 CFR,1910.95) training requirements. Hearing loss resulting from exposure to noise in the workplace has affected millions American workers. In an effort to reduce the incidence of noise-induced hearing loss, OSHA created the Occupational Noise Exposure and hearing Protection Standard (29 CFR 1910.95), which mandates that facilities establish a formal Hearing Conservation Program. The manual reviews the regulations and their compliance requirements, and contains a complete "fill-in-the-blank" written Hearing Conservation Program. Areas covered in the Manual include background of the standard; major compliance requirements; employee training requirements; a “fill-in-the-blank” written hearing conservation program, with forms and procedures including dosage and TWA worksheets, hearing protection record, employee training log, training certificate, audiometric test results notification, audiometric re-test results notification, authorization letter for release of medical information and medical record transfer, and a glossary of terms. By filling in the blanks in the "Personal Protective Equipment Program" section, any facility can create a complete written program that will meet all Hearing Conservation program requirements.